My Anti Aging In Action free monthly newsletter brings you the latest scoop on all things Anti Aging! Fresh perspectives for women of 60 on fitness, weight control, skin care, make up and above all a positive attitude to staying young! 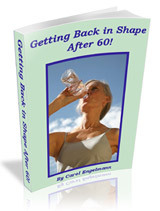 This website interprets the world of beauty, health and fitness for modern women approaching 60 and over. For us the goal is to be fit, healthy and the most attractive version of ourselves possible. Want to know what works and what doesn’t? How to use every trick in the book to look great and feel fabulous? Stay up to date with our Back To Fitness Challenge! Getting Back in Shape After 60! and stay up to date with us! very mature skin. High-tech make-up innovations like Make Up Primer and how to get the best results on older skin. Eat yourself young, superfoods and juices to postpone those age related ailments so you can enjoy life! We have it all covered… Just for Us! Inspiration to improve fitness and work on posture and problem zones. Effective exercises, simple and safe! Healthy, sustainable weightloss methods with solid information and Tips & Tricks to see you through to a slimmer you! Still learning how to choose wellness? Find out how to deal with stress, conquer moods and enjoy life! Unhappy with your fitness level? Getting Back in shape after 60! great ideas to put them into action! I promise to use it only to send you Anti Aging in Action.